Jobs Description: Women University of Azad Jammu & Kashmir Jobs 2018 are listed below in our site. Women University of Azad Jammu & Kashmir is one of the best universities in Azad Jammu & Kashmir. Women University of Azad Jammu & Kashmir provides well education to students, and also a good salary package to staff. 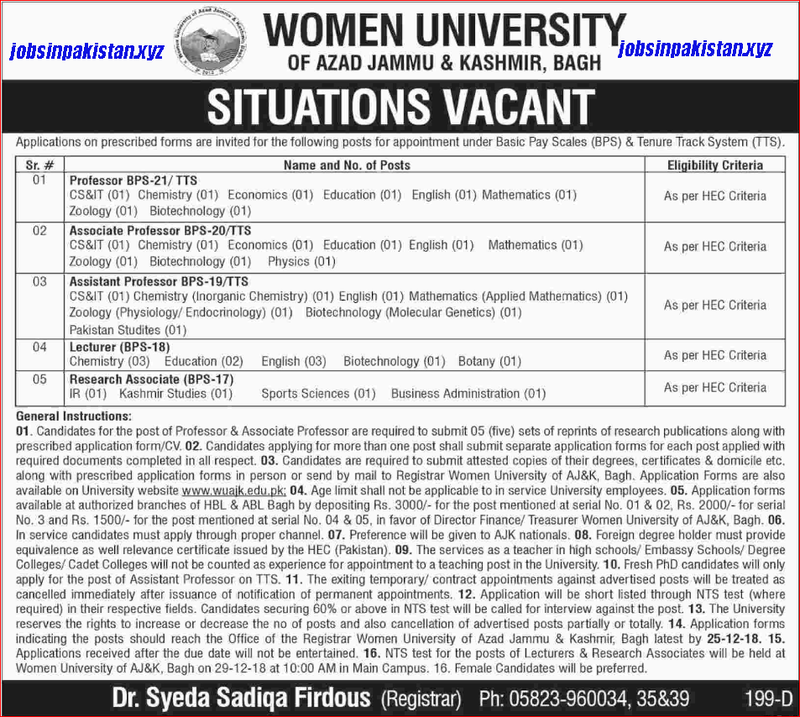 Women University of Azad Jammu & Kashmir has required the applications for following jobs. How To Apply: The interested candidates may submit their application forms to Women University of Azad Jammy & Kashmir.